Cold in the morning, sweltering at noon, chilly in the evening breeze. 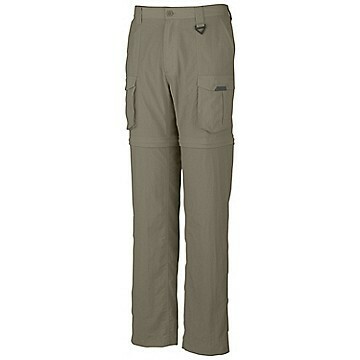 When fishing conditions are fickle, these convertible pants offer the perfect solution. Just zip off the legs to transform them instantly into a set of shorts. Light, durable nylon ripstop fabric features built-in sun protection and dries fast. Constructed specifically for the needs of anglers with a back hook and loop close pocket, roomy front slant pockets and hook and loop close patch pockets, and a radial leg gusset for great range of motion. Elastic back waistband is designed for a comfortable, custom fit. Sizing Tip: 2X and 2XTs are about 42" fully extended, and 4X measures 52" fully extended, so NOT the biggest pant we've ever seen. BUT - they are a superior value! SIZES: 2XL Sage Inseam 30"